About the artwork... This is the beautiful 'May Queen' by Emily Balivet. 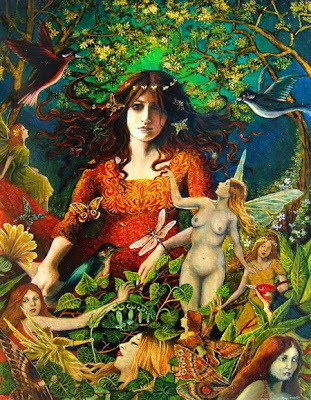 Please visit her shop for exquisite mythological goddess art. To find out more about this wonderful artist, read our Artist Interview with Emily.